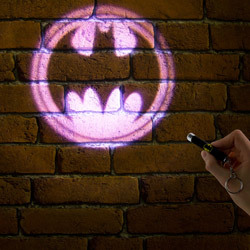 A must for any high-tech Batcave. 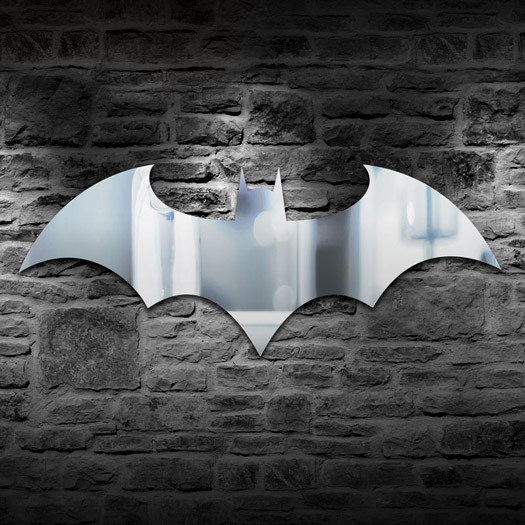 Whether Bruce Wayne's billionaire mansion, or something a little more snug, this super-stylish Batman Logo Mirror, measuring 70cm x 33cm, really is the centre piece that leaves everything else in its shadow by comparison. 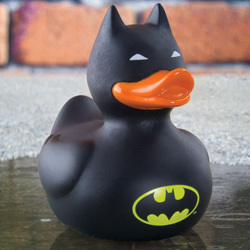 Batman has been a mainstay of popular culture since his first introduction in issue #27 of Detective Comics in 1939. 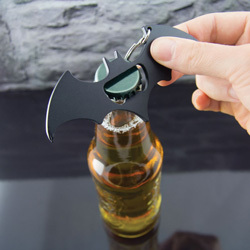 Famously known as the Caped Crusader, and more recently the Dark Knight, Batman has always been a superhero with a difference, relying on his intellect, gadgets, and physical prowess rather than superpowers to defeat his opponents. 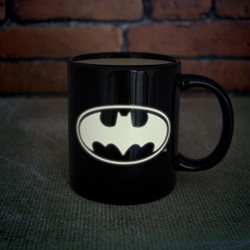 The iconic Bat logo has been used in various forms since 1940, and this version is based on the more recent, darker incarnations of Batman in films such as Batman Begins and The Dark Knight, and computer games like Batman: Arkham Asylum, rather than the earlier, more camp comic book style of the 1960s TV series. An acrylic mirror, the Batman Logo Mirror comes securely packaged with easy to follow instructions on the back of the box. Though wall mount fixtures are included, please note that to fix the mirror to your home wall the following will be required (and are not included in this package): A pencil, Tape Measure, Electric Drill, 2 Wall Mounting Screws and Wall Fixings (consult your local DIY store if unsure what type), and a Spirit Level.